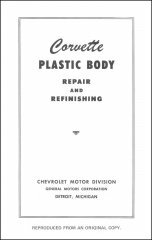 When the 1953 Corvette arrived with it's fiberglass reinforced plastic body panels, Chevrolet dealers and body shops were at a loss as to how to treat this miraculous new material. 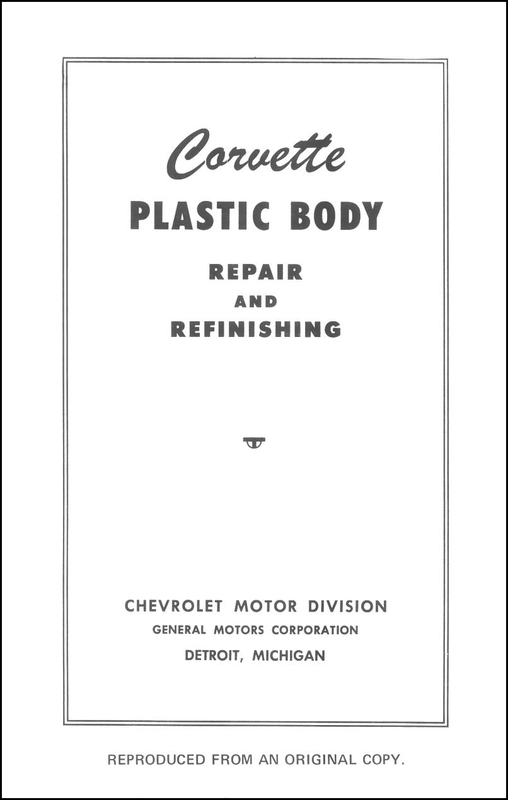 This 30 page pamphlet was reproduced from an original copy sent to dealerships from Chevrolet. 5 1/2 x 8 1/2", softbound with 30 pages and about 30 photos.